Midtown's massive and magnificent Spa Castle is finally coming back. 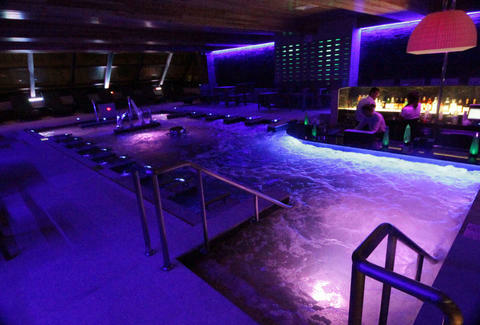 Almost five months after it was tragically shut down for code violations by the Health Department just days after its grand opening, the luxurious three-level Spa Castle Premier 57, which we did a full review of in January, has announced that it will finally reopen its big steamy doors on Tuesday, June 16th. We hardly had a chance to soak up the sprawling spa's stunning Manhattan views and swim up bar before it was taken away from us, but that means we'll just have to make up for all that lost time with a nice long sauna treatment and other wet, hot opulence. Tony Merevick is Cities News Editor at Thrillist and wants to name his apartment "spa castle" some day. Send news tips to news@thrillist.com and follow him on Twitter @tonymerevick.